The latest Star Wars casting rumor will thrill Lost Girl fans. Could Will Smith be in Independence Day 2? There's a new Mad Max photo. Find out what Tyrion's doing in Winds of Winter. See new pictures of Daniel Radcliffe in Horns. Plus Agents of SHIELD, Thor and Outlander. Spoilers ahead! Top image: X-Men: Days of Future Past. I’m naked... But when I do get to wear clothes, I love the ’70s outfits. Some of the Mystique look is a little different, but we’re still using the same paint. But she’s different in this film too. She was struggling – like a lot of normal humans – with the way she looked, and she was covered up a lot in the first movie, but this time she is Mutant and proud. Dale DeHaan says that going from indie movies to the Spider-Man series wasn't as much of an adjustment as he'd feared: "My assumption was that it would be artistically compromised, but it was actually a great luxury to have four months to prepare and six months to shoot... I left 'Spider-Man' feeling very fulfilled artistically, creatively and personally." To be part of something that people love — whether it's Thor on his own or Thor in The Avengers — is a chance you get once in your career, if at all. I'm not going to complain about it, certainly, but it's a challenge each time you do it because you don't want to fall into just Thor, just being a two-dimensional character. Hm, I hadn’t thought that he was chattier in this than in other movies. But you never want to explain him so much, or have him talk so much that he demystifies himself, because there’s a mystique and that has to be respected about the character. There is an evolution of his character in that he begins the movie as a guy who thinks that maybe he’s lost a step – he’s gotten maybe a little slow, a little fat, and crime of all crimes, maybe he got civilized. And even though he’s been dumped on this world and left for dead, he’s viewing it suddenly as not a dumping ground, but a proving ground – to see if he can get back to the man he was. So that’s an interesting little evolution – can I get the edge back? So that’s why he says, now it’s just me and this no-name world now. We’re zeroing the clock, and I’ll see if I can not only survive, but reign supreme. So that sort of gets us all back up to speed, and if you want to think about it in a broader sense, it could be a parallel for the franchise as well. Because some people say, hey, you guys got big and bloated in the second movie, and now it’s time to get back to basics. The show will introduce new characters, many of them products of weird science, but the writers also enjoy access to Marvel's back catalog, which they research using a private database created for the show. Future episodes will incorporate characters from new Marvel movies, such as the "Thor" sequel due in November, most likely. However, certain characters are off limits to the "S.H.I..E.L.D." team, either because their star power is reserved for the big screen, or because producers don't want to muddy the Marvel universe. 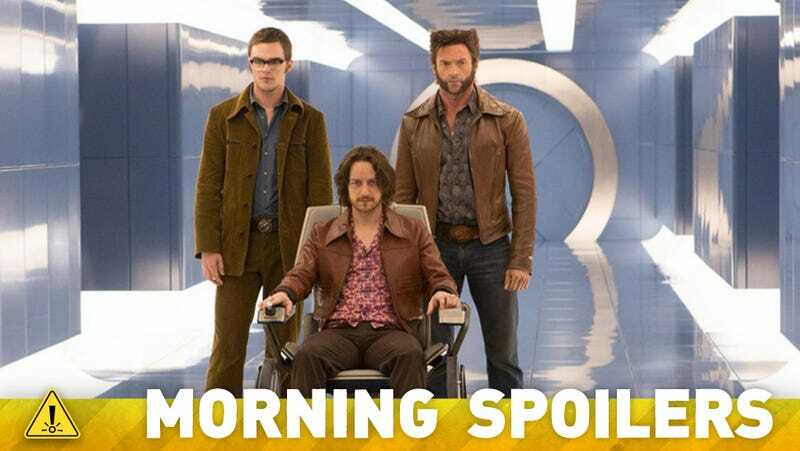 "We can never use the word 'mutant,'" says Ms. Tancharoen, referring to the X-Men, a separate team of Marvel heroes. Here are a bunch of episode titles for the upcoming fourth season. Additional reporting by Amanda Yesilbas.